This latest production is a follow up from a previous video I did for the service company, Amey. They are working together with Plymouth City Council to complete the £13 Million Derriford Transport Scheme. The aim of the video is to show the schemes completion of works. So this Amey dashcam drive through was suggested. 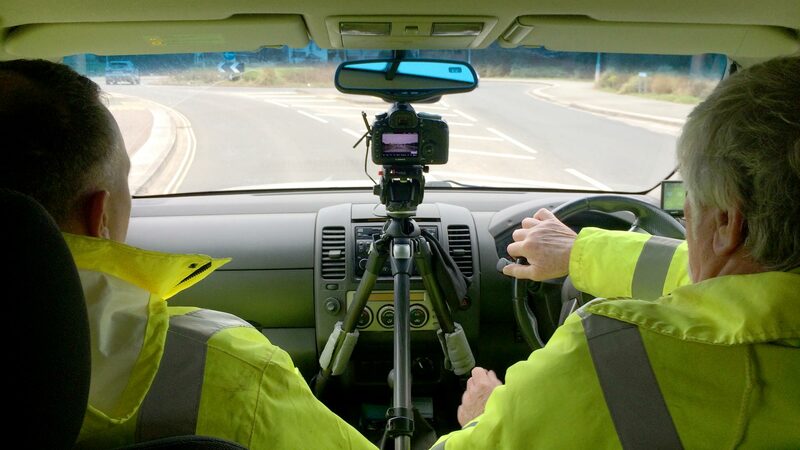 One of my cameras is set up on a small tripod in the middle of a pickup truck to capture the view of the completed roadworks. An audio commentary is spoken by the project manager. He gives additional information to the viewer, as if they are a passenger in this visual drive through. For editing purposes I travelled in the back of the vehicle, with my second camera, to grab general shots of the driver and passenger. This was in case I needed cut away shots to use in the edit, to shorten the video. I decided that a different approach would work better, and would not miss out any scenes of the road works. I did this in the edit by visually speeding up the gaps between Dan’s commentary into one continuous video. For the edit, I took advantage of the five hour train journey back from Plymouth to Sheffield. I had planned to take my laptop and had booked a table and power supply on the train. 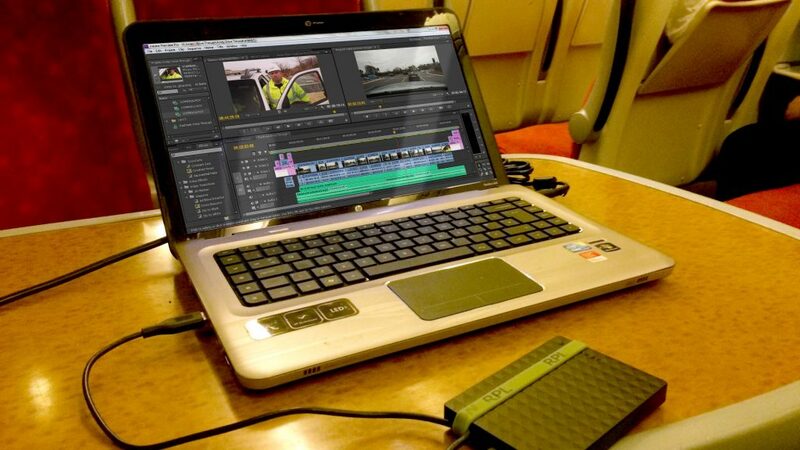 This allowed me to maximise my travel time and virtually finish the edit. 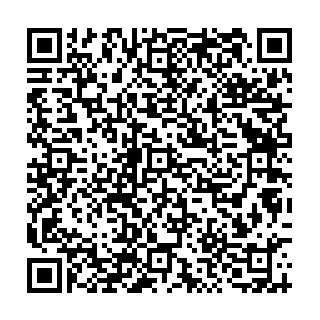 Next it was to export and then upload the finished file, using WeTransfer.com to the client for their approval.